It’s hard to ball a fist in anger when your leather-trimmed, double-stitched, eight-way power heated seat has you perfectly positioned. 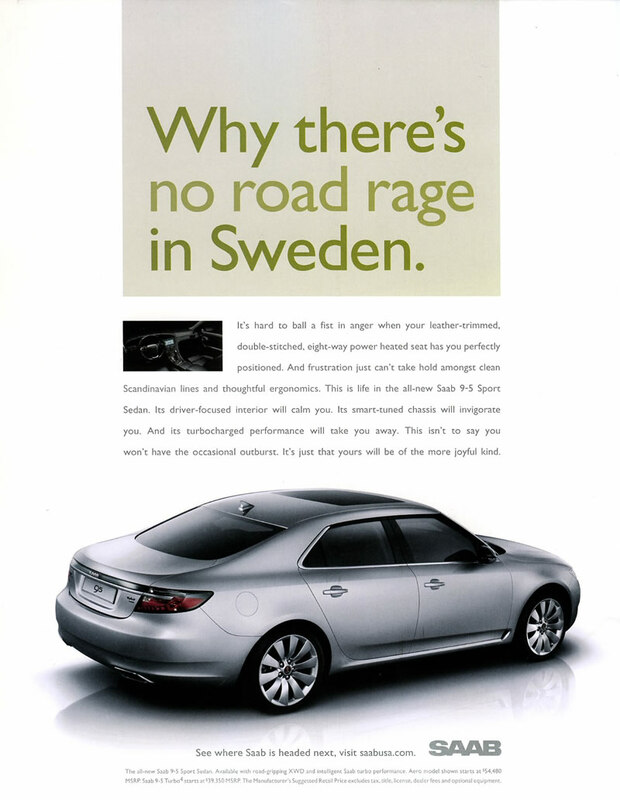 And frustration just can’t take hold amongst clean Scandinavian clean lines and thoughtful ergonomics. 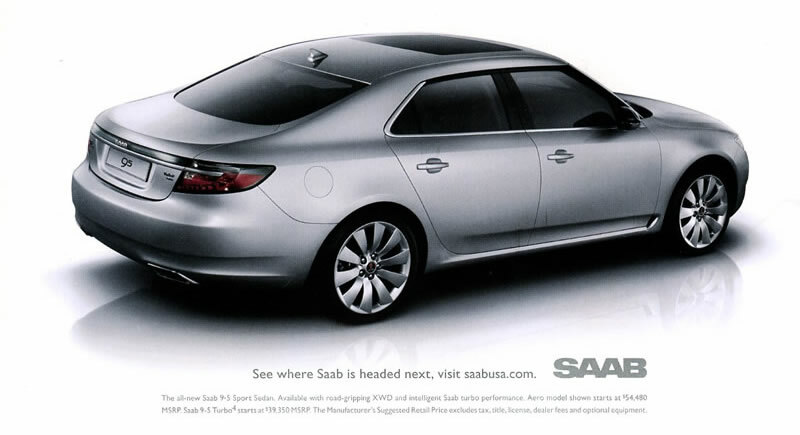 This is life in the all-new Saab 9-5 Sport Sedan. Its driver-focused interior will calm you. Its smart-tuned chassis will invigorate you. And its turbocharged performance will take you away. This isn’t to say you won’t have the occasional outburst. It’s just that yours will be of the more joyful kind.